Wedding Crashers is a movie based around the very idea of lust. 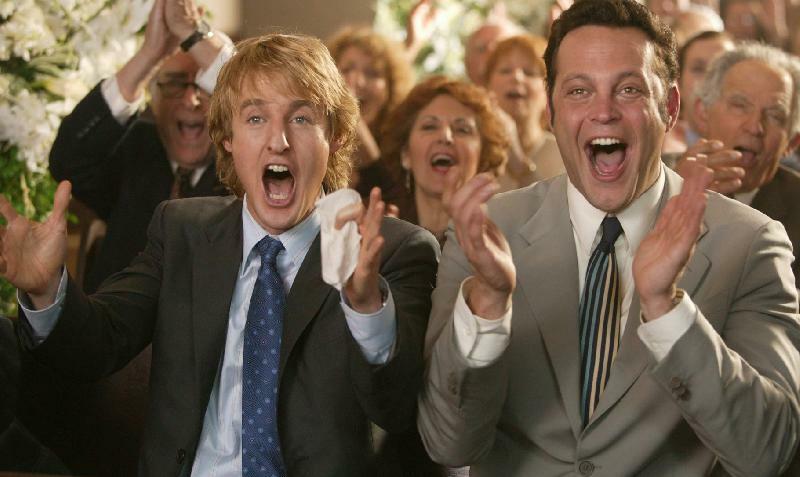 As crashers, the characters played by Owen Wilson and Vince Vaughn have spent most of their adult life crashing weddings in order to get between the sheets with one of the guests. While I’m sure it’s not exactly the dream plotline for the feminist crowd, Wedding Crashers is one of the funniest movies of the past ten years and it’s one of those rare R-rated comedies of the pre-Apatow era. There was a time when the Frat Pack ruled the box office and this lusty film is one of the touchstones from that short period. 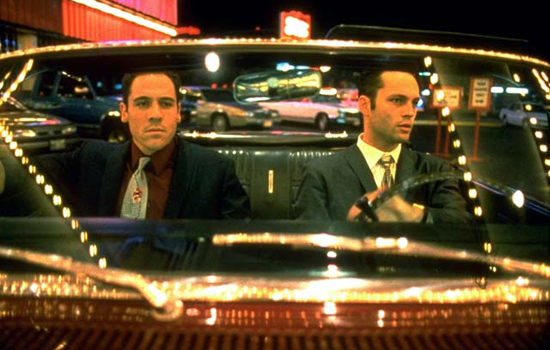 If there’s any lasting effect that can be taken away from the mid-90’s phenomenon, it’s that it introduced us to the talent that Vince Vaughn had. Then just 26, Vaughn’s charisma leapt off the screen as he played the slick-talking, stylish Trent. The whole attitude that permeates Swingers is one of a façade of cool that each character tries to embody, each with varying degrees of success. The primping, the adopting of a style of a bygone era, and just the overall smarminess that Trent drifts in and out of is the embodiment of pride. If I wanted to be cynical, I’d say Vince Vaughn’s career has been an example of sloth, as he seems to be sleepwalking through the same role over and over again. I’m going to take the high road and highlight one of his best movies instead. Old School is hilarious and reintroduced the world to the R-rated comedy. In the film, Vaughn is one of three men who start a fraternity as a means of escape from the pressures of their lives. In an attempt to recapture their youth, they choose to live the slacker lifestyle, even though they each have achieved success in their professional lives. I could just as easily put Psycho in the spot for the sin of wrath, but I’d much rather write about this criminally underrated film released the same year. 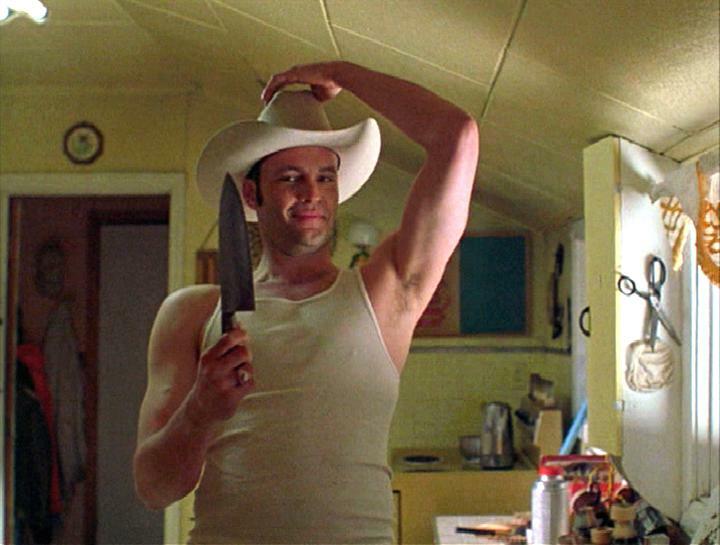 Starring Vince Vaughn as smooth-talking killer Lester Long, Clay Pigeons seems cut from the same cloth as modern pulpy crime films such as Red Rock West and Blue Velvet. Speaking of the latter, Pigeons could be right at home in a David Lynchian universe, as there are already plenty of oddball characters to go around. Vaughn brings his charm to the role of Lester Long, something that was missing from his horribly miscast turn as Norman Bates. 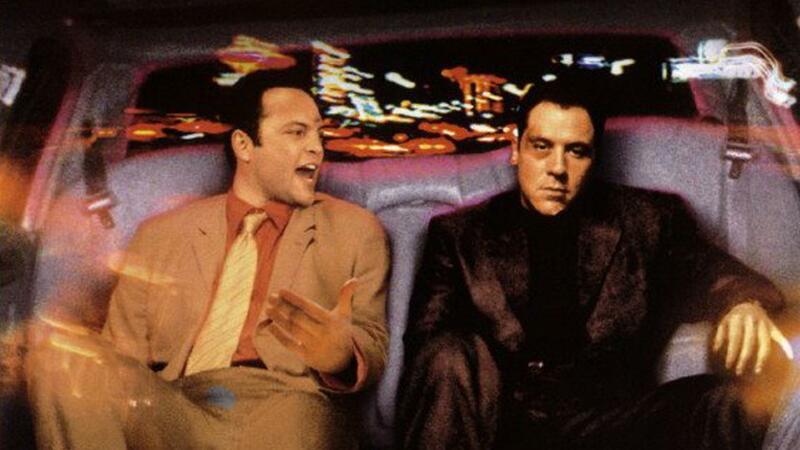 While his character may not be overtly greedy in, what is more or less, the sequel to Swingers, it’s the crime of those that both he and Jon Favreau’s character that push the story along. 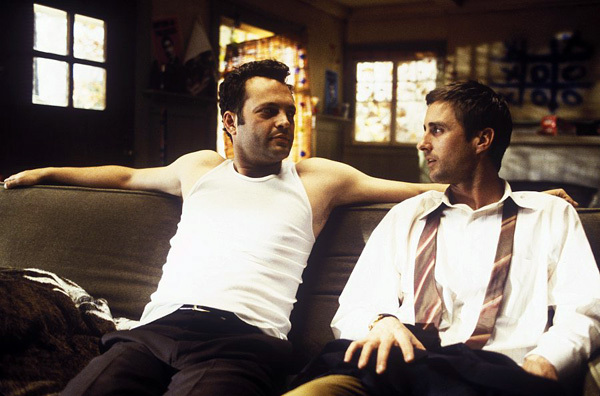 A reteaming from their breakout in Swingers, the two play amateur boxers that get involved with some low-level crime: mostly money laundering and overall shady deals. It’s a lukewarm movie with a plot that doesn’t exactly go anywhere, but it is driven by the desire of money.